The maiden workshop on Technical Paper Writing and Presentation for Society of Petroleum Engineers, (SPE) Ghana Section has been held in Accra to help equipping participants to develop industry presentations that meets global standards. The workshop which focused on best practices in technical paper writing on oil and gas industry for publication in both local and international journals brought together over 50 oil, gas and petroleum sector players including Resource Persons, Students Members across the country and faculty advisors to share knowledge, network and brainstorm on topical and critical sector issues. In 2000s SPE reached its highest number of members in its history, partly due to the high growth rate in the number of student members and chapters. Today SPE continues its constant search for new ways to meet member needs in all phases of their careers in all parts of the world. He said abstract should describe motivations, methods, reports and conclusions and it must be concise,“think of an abstract of a one-paragraph summary of the report. Ideally, an abstract is one paragraph long. Have words limit, for example 400 words, in mind when writing an abstract”. Dr. Oppong asked them to stay objective and eliminate options like “I think or I feel” from their writing so that the emphasis on the technical and scientific processes and fact. Remain mostly in the third person, positive voice, doing so keeps your writing looking/sounding objective and helps you to put emphasis on processes and things rather than on yourself as a technician or scientist, the prolific writer reiterated. In relation to presenting technical papers under conference, Dr. Oppong called on them to keep it simple, sort and sweet, “PowerPoint was designed as a convenient way to display graphical information that would support the speaker and supplement the presentation. The slides themselves were never meant to be the “star of the show” people came to hear you and moved or informed (or both) by you and your message”. Speaking on the topic: Oil and Gas well Engineering Data Collection and Management, The Managing and Technical Director, Soluserv ,Ghana Limited, Mr. Ato Aidoo, said, data has value to all aspect of the oil and gas industry. According to him, it is critical to the efficient operation and effective management of health and safety; engineering; operations and risk. “The value that can be derived from data is dependent upon how the data is managed over its life circle. The effective management data in the presentations increase its value, allows for better decisions to be made. Key engineering and operations, processes are much more efficiently executed and produce results that are more accurate,” he said. 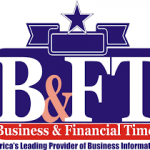 Business & Financial Times (B&FT) ,established in 1989 as a weekly publication, the newspaper is a now a daily paper delivering business and financial news and information to the business community in the country and internationally.